SANAA, April 15 (YPA) -Leaders of the Islah party have launched a verbal attack on the United Arab Emirates (UAE), accusing it of manufacturing and training militias in the south that are being deployed against the exiled Hadi government and Islah party forces. “The UAE continues to manufacture military formations and train armed militias in order to extend its influence in the southern regions, which is against the state project,” the head of the Yemeni Islah party, Abdul Razzaq al-Hijra said during Sayoun’s meeting on Saturday. They accused the UAE of using the so-called Southern Transitional Council (STC) and its leadership as a means to carry out its own expansionist occupations. Islay party further accused the UAE of sending three drones to target Sayoun’s meeting and of supporting and inciting the people in the South to go out in massive marches against the government of Hadi and Ali Mohsen al-Ahmar. 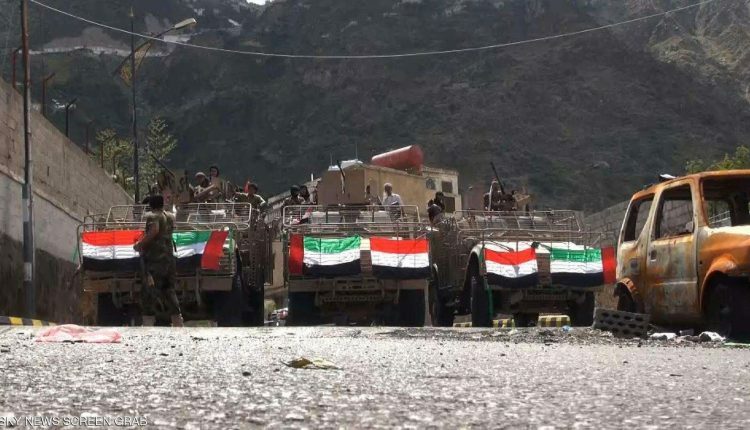 Leaders of the Southern Transitional Council (STC) and the UAE-backed militias have attacked and threatened members of the exiled Hadi’s government, coalition leaders and the Saudi military presence in Sayoun on numerous occasions. Earlier, reportes were published accusing the UAE forces of practicing targeted torture, contempt, forced evacuation, murder, expulsion, assassinations, arrests, and rapes against leaders, officials, and social figures affiliated to the Islah party (the branch of Muslim brotherhood in Yemen) in Aden and other southern provinces.